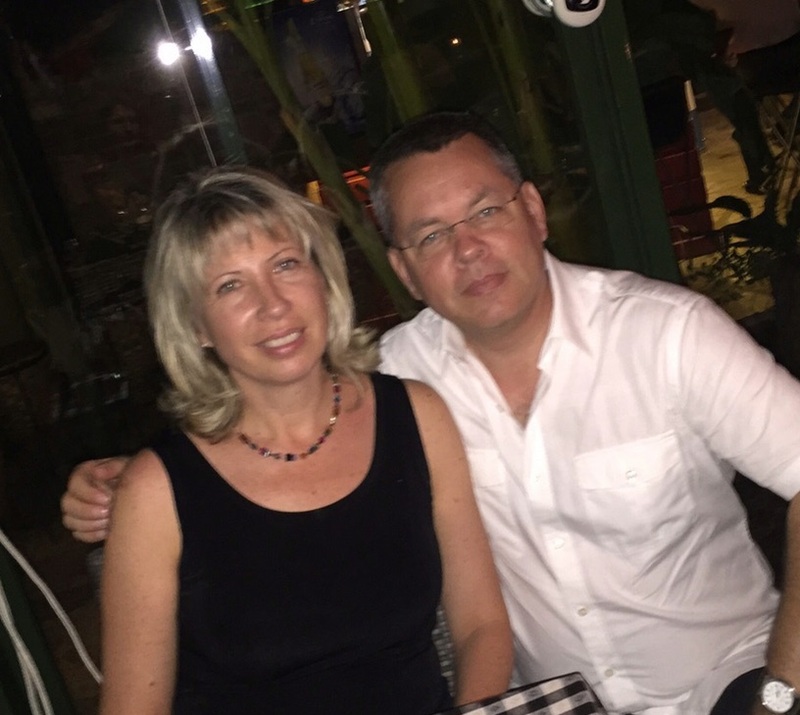 American Pastor Andrew Brunson has spent the past 18 months in a Turkish prison following his arrest on charges of conspiring to overthrow the government. Despite pressure from former Secretary of State Rex Tillerson to secure Brunson’s release, he remains in prison for allegedly being linked to a rebel group that was seeking to orchestrate a coup. Now, he is finally going to trial. Brunson’s lawyer argues that his client has been imprisoned solely due to his Christian faith, and should be acquitted immediately. Ismail Cem Halavurt explained that Pastor Brunson, detained 18 months ago, faced charges that were “totally unfounded,” according to Reuters. Brunson is originally from North Carolina but has spent the last 27 years ministering in the majority-Muslim nation of Turkey. The embattled pastor’s trial began Monday. Reverend Franklin Graham posted to Facebook Sunday, asking his followers to pray for Brunson as he heads to court. Sam Brownback, the U.S. ambassador at large for religious freedom, and U.S. Senator Thom Tillis attended the hearing Monday. Turkish President Recep Tayyip Erdogan has previously attempted to raise the possibility of a prisoner swap. He wants the U.S.-based Muslim cleric Fethullah Gulen to be extradited to Ankara so he can face charges related to the planned coup. “The [pastor] we have is on trial. Yours is not — he is living in Pennsylvania … You can give him right away,” Erdogan said back in September. The prosecution is seeking a jail sentence of up to 35 years for Brunson, arguing that he was aiding armed terrorist groups and providing them with confidential government and military information that could be used to sabotage the government. He has been accused of working with Gulen’s network as well as the Kurdistan Workers Party (PKK). Halavurt, however, is confident that Brunson will be acquitted, and is demanding the swift release of his client. According to CeCe Heil, executive senior counsel at the religious freedom legal group, the American Center for Law and Justice, Mr. Brunson has lost around 50 pounds during his detention and been denied private meetings with his lawyer, as reported by the BBC. The congregation of Ressurection Church in Izmir spent time praying for their pastor Sunday. Brunson’s wife, Norine, read a letter from Andrew, in which he talked about the abject darkness and silence of his incarceration. “Your brother Andrew, imprisoned for God,” the pastor concluded his message. Please pray that the outcome is positive for Pastor Brunson and his family, and that justice might be served. Norine Brunson posted a heartfelt message to Facebook, imploring people to pray. Today the Lord clearly showed me and another believer to pray for Andrew three times a day – morning, noon, evening….